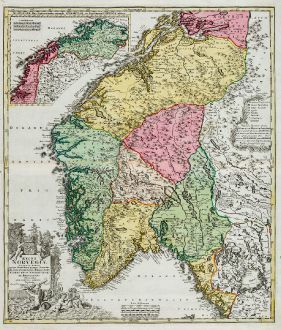 Old coloured map of Norway. 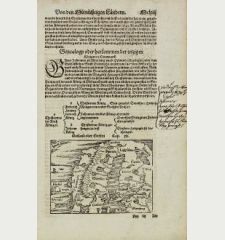 Printed in Nuremberg by J. 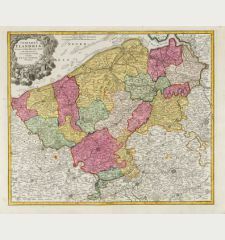 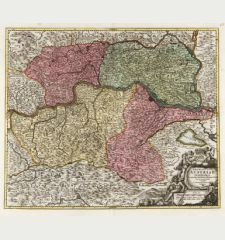 B. Homann circa 1720. 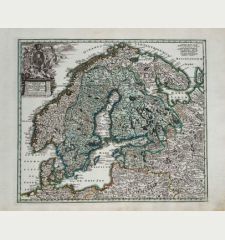 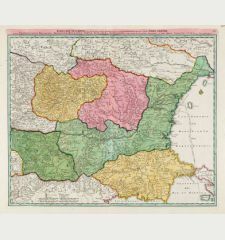 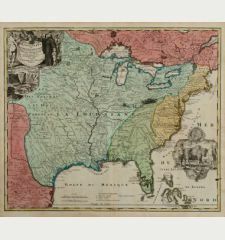 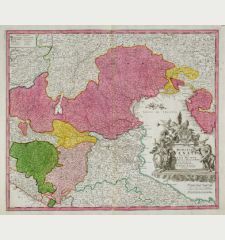 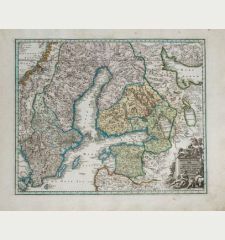 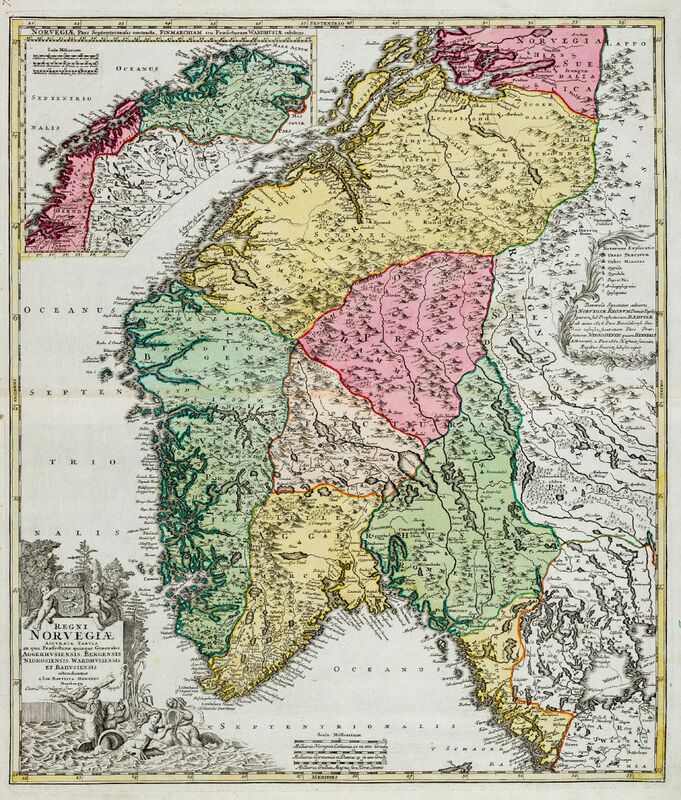 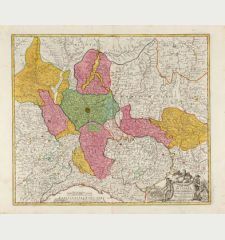 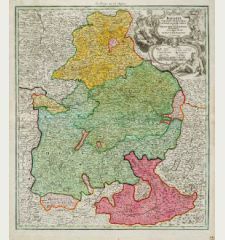 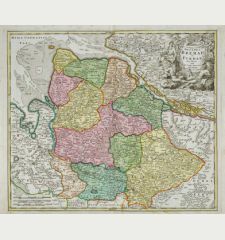 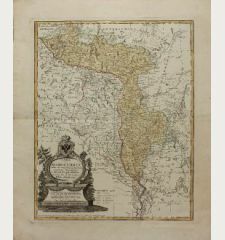 Old coloured engraved map of Norway by Johann Baptist Homann. 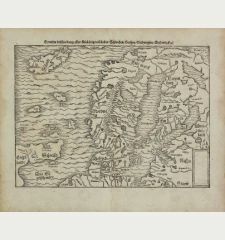 Top left an inset with the Lofoten to the North Cape. 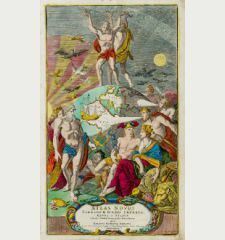 The beautiful title cartouche shows the Norwegian coat of arms.